Sterling Professor at Yale University Alan Schwartz will be the invited speaker for the "Lezioni Pisane di Diritto Civile" series. In this seminar, Prof. Peter Drahos (EUI, Fiesole), will evalutate the argument that regulatory capitalism increases the prospect of avoiding doomsday scenarios. A cycle of seminars aimed to deepen the issue of administrative legality. Workshop series aimed to retrace the work of the Italian Parliament during the 17th "legislatura" (Parliamentary term 2013-2018). Prof. Carlos Closa has been invited to the Scuola to discuss the legal and political implications of secessions within Member States and Member States' withdrawal from the European Union. Book: La politica come limite al diritto? 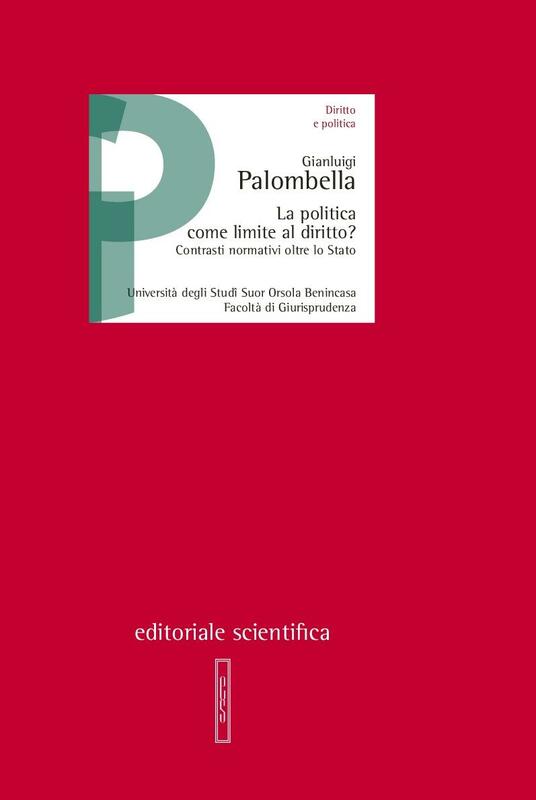 Prof. Gianluigi Palombella's ​lectio magistralis "La politica come limite al diritto? Contrasti normativi oltre lo Stato" has been published. In a recent OpinionAG Tanchev cited an essay co-authored by Giuseppe Martinico and Marta Simoncini. Researchers of Sant’Anna School conducted the 2017 Transparency International’s Business Integrity Country Agenda (BICA) assessment in Italy.